Transform garden ponds and pools into a magical water feature with floating candles. 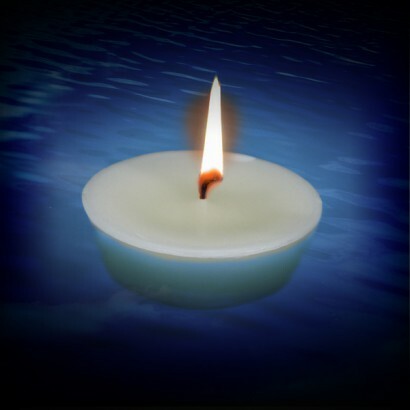 Larger than standard floating candles, the floating pond/pool candles measures 8.5cm diameter giving a longer burn time and a greater impact on larger water spaces. Very lightly scented, use multiple floating candles to recreate a zen, spa like experience in pools or make a tranquil water feature out of garden ponds that's ideal for parties.